This dissertation explores the concept of reference culture through the methodological lens of digital humanities, by examining the United States as a reference culture within Dutch consumer society throughout the twentieth century. The analytical concept of reference culture is used to approach the ways the United States is referenced through consumers, producers, and goods in discourse. These discursive formations are analyzed within the digitized newspapers archive of the National Library of the Netherlands. Consumer society is often equated with forces of Americanization and modernization. This relationship is very often the result of a teleological connection between the dominance of the United States and the emergence of modern consumer society in Europe. Studies on modern consumer societies in Europe very often focus on the post-war period. Scholars such as Johan Schot and Ruth Oldenziel have argued to include earlier periods of this development. Taking this into account, my research focuses both on the interwar years and the post-war period. Recent scholarship has even argued that the emergence of consumer society can be traced back to the seventeenth century and is from the beginning much more intertwined with globalist and multidirectional forces. Transformations in consumer society can be imposed by other dominant countries and their cultures, but should also be analyzed within the context of local processes and circuits of exchange that enable commonalities and differences in goods, ideas, and practices. In the case of Americanization, research into the ways in which the United States is referenced through consumer products and their associated practices approaches the discursive formation associated with the United States from the perspective of the Netherlands. Via three different consumer goods, the cigarette, soft drinks, and personal computers, I analyze different debates in which the United States is referenced by consumers, producers, and products. The first case study (cigarette) is placed before the Second World War, with a focus on the interwar years to trace these early references. The second case study (soft drinks) is situated after the Second World War. The third case study (personal computer) is situated in a time when the global dominance of the United States was waning. All three case studies involve products that are as of today very popular and that are produced by global multimillion industry. In the case of the personal computer, the software industry situated in silicon valley works almost as a new gold rush. In debates on computers, the international media almost invaraibly point towards companies such as Apple and Microsoft. In all three case studies, three questions will be answered, namely 1) how was America referenced through these products and how were these references evaluated in public discourse; 2) how did material aspects and practices operate as references to United States; and 3) in what way did specific actors and concepts associated with the products work as references to the United States? Research Question: How is the United States referenced within Dutch consumer society through these three products? 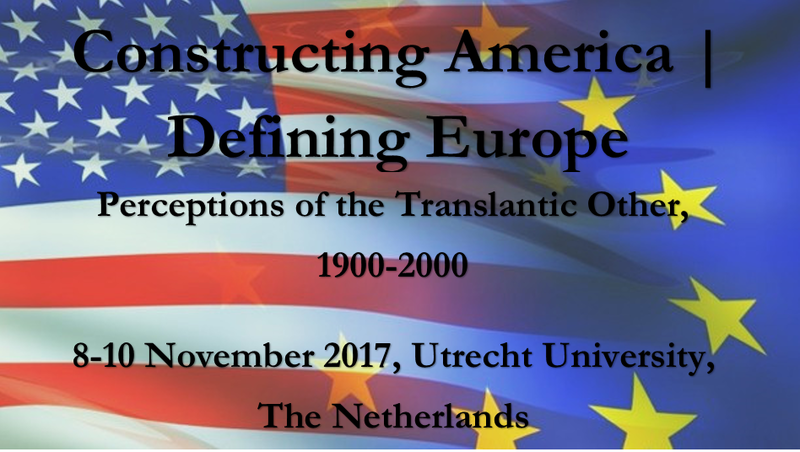 By mapping a reference culture within public discourse, I draw attention to “the ways that … practices, representations, experiences, and affects articulate to take a particular dynamic form.” I will develop the concept of reference culture as a way to grasp the complex nature of the ways in which the United States has been referenced and evaluated within Dutch discourse. This conceptualization advances theories from the field of American studies, global studies, and empire studies. This is done by augmenting these concepts with theories by Michel Foucault, Gilles Deleuze and Manuel De Landa, feminist scholars such as Donna Haraway and Rosi Braidotti, representatives of critical globalism, and technology studies such as Wiebe Bijker, Ruth Schwartz Cowan, and John Law. Articulations of, or references to the United States, form a web that includes both material and discursive practices. By conceptualizing culture as an assemblage, culture is “understood as being made up of myriad articulations (intermingling elements, connections, and relationships) that make some things possible, others not.” A networked structure as such can include and exclude through categorization (i.e. what is seen as American and what not) and at the same time empowers particularities that resist categorization. The latter deals with instances in which America is used in alternative ways that provoke, resist, and manipulate the general concept of the United States represented. This approach is able to add texture, complexity, plurality, and nuance to common tropes of American exceptionalism, but at the same time it can explain the processes that support an essentialist American identity over time. It is questionable to what extent newspapers represent the heterogeneity present in society. Yet, in the period before the stabilization and domestication of a consumer good, for example after a technological change to the product or the marketing towards a new audience, I argue that it is possible to gain insight in the production of knowledge via the analytical concept of reference cultures. Research question: What is the analytical concept of reference culture? David Berry has a very straight-forward definition of the digital humanities. He sees the field as “the application of computational principles, processes, and machinery to humanities texts.” At the same time, Burdick et al. argue that the inclusion of digital approaches can change the “culture of humanities work as well as the questions that can be asked of the materials and objects that comprise the humanistic corpus.” My goal is not to come to a definition of what digital humanities is, but rather to put computational techniques to use and reflect on it can be used through the analytical concept of reference cultures. Doing humanities research using computational techniques is a thought-provoking move that forces the researcher in a critical position towards the epistemology of the traditional humanities as well as the digital humanities. This brings up a plethora of questions. How can elements of the historical and humanities practice be brought into the field of computation? What new methodologies does the field of digital humanities provide for the cultural historian? Does it enable the historian to ask new questions? Or does it allow the researcher to answer questions in a new way? In debates about the pros and cons of digital humanities, there seem to be two main positions: one that focuses on the promises of big data and text analytics, and another that argues for the addition of critical theory within the digital humanities. Drawing from insights from both strands, I try work with the concept of reference cultures within the sphere of the consumer society. In order to do this, I will have to construct a digital historian’s toolkit. This will be done via specific DH use cases in each case study. As the tools and field of Digital Humanities are rapidly shifting, the tools used and questions asked will be different per use case and case study. In this sense, this project is very much a proof-of-concept. In the process, I will actively reflect on the theoretical and practical implications of the merger between cultural history and digital humanities. Research Question: What do digital humanities as a methodology contribute to the use of reference culture as an analytical concept? Ruth Oldenziel, Adri Albert de la Bruhèze, and Onno de Wit, “Europe’s Mediation Junction: Technology and Consumer Society in the 20th Century,” History and Technology 21, no. 1 (March 2005): 107–39; Ruth Schwartz Cowan, “The Consumption Junction: A Proposal for Research Strategies in the Sociology of Technology,” The Social Construction of Technological Systems: New Directions in the Sociology and History of Technology, 1987, 261–80. Johan Schot, Arie Rip, and Harry Lintsen, eds., Technology and the Making of The Netherlands: The Age of Contested Modernization, 1890-1970 (Cambridge, Mass. : MIT Press, 2010); Adri Albert de la Bruheze, Onno de Wit, and Ruth Oldenziel, “Mediating Practices: Technology and the Rise of European Consumer Society in the Twentieth Century,” February 14, 2004, http://www.tensionsofeurope.eu/www/en/files/get/Review_CS_Bruheze_2004.pdf; Ruth Oldenziel and Mikael Hård, Making Europe: Technology and Transformations, 1850-2000. Consumers, Tinkerers, Rebels, Making Europe: Technology and Transformations, 1850-2000 (Houndmills, Basingstoke: Palgrave Macmillan, 2013). Frank Trentmann, “Crossing Divides Consumption and Globalization in History,” Journal of Consumer Culture 9, no. 2 (July 1, 2009): 187–220. Jennifer Daryl Slack and J. Macgregor Wise, Culture + Technology: A Primer (New York: Peter Lang, 2005), 129. Rob Kroes, “American Empire and Cultural Imperialism: A View from the Receiving End,” in Rethinking American History in a Global Age, ed. Thomas Bender (Berkeley: University of California Press, 2002), 295–314; Axel Körner and Adam Smith, America Imagined: Images of the United States in Nineteenth-Century Europe and Latin America (Basingstoke: Palgrave Macmillan, 2012); Jan Logemann, “Different Paths to Mass Consumption: Consumer Credit in the United States and West Germany during the 1950s and ’60s,” Journal of Social History 41, no. 3 (2008): 525–59; Oldenziel, Ruth, “Islands: The United States as Networked Empire,” in Entangled Geographies Empire and Technopolitics in the Global Cold War, ed. Gabrielle Hecht (Cambridge, Mass. : MIT Press, 2011), 13–42, http://site.ebrary.com/id/10479196; Victoria De Grazia, Irresistible Empire: America’s Advance through Twentieth-Century Europe (Cambridge, Mass: Belknap Press of Harvard University Press, 2005). Gilles Deleuze, A Thousand Plateaus: Capitalism and Schizophrenia (University of Minnesota Press, 1987); Manuel DeLanda, A New Philosophy of Society: Assemblage Theory and Social Complexity (Continuum, 2006); Michel Foucault, The Archaeology of Knowledge  (Random House LLC, 2012). Donna Haraway, “Situated Knowledges: The Science Question in Feminism and the Privilege of Partial Perspective,” Feminist Studies 14, no. 3 (October 1, 1988): 575–99; Rosi Braidotti, The Posthuman (Cambridge et al: Polity Press, 2013). Alys Eve Weinbaum and Brent Hayes Edwards, “Articles – On Critical Globality,” Ariel : A Review of International English Literature, no. 1–2 (2000): 255–74; John Brewer and Frank Trentmann, Consuming Cultures, Global Perspectives: Historical Trajectories, Transnational Exchanges, Cultures of Consumption Series (Oxford, UK; New York, NY: Berg, 2006). Wiebe E Bijker and John Law, Shaping Technology/building Society: Studies in Sociotechnical Change (Cambridge, Mass. : MIT Press, 1992); Cowan, “The Consumption Junction”; Barbara Herrnstein Smith et al., Complexities: Social Studies of Knowledge Practices (Duke University Press, 2002). Slack and Wise, Culture + Technology, 112. Dorthe Staunces, “Where Have All the Subjects Gone? Bringing Together the Concepts of Intersectionality and Subjectification,” NORA: Nordic Journal of Women’s Studies 11, no. 2 (August 2003): 101. “Stunlaw: October 2013,” accessed July 24, 2014, http://stunlaw.blogspot.nl/2013_10_01_archive.html. Anne Burdick et al., eds., Digital Humanities (Cambridge, MA: MIT Press, 2012), 3. This group of articles and books seems to adhere to the big data perspective: Joris van Eijnatten, Toine Pieters, and Jaap Verheul, “Big Data for Global History: The Transformative Promise of Digital Humanities,” BMGN – Low Countries Historical Review 128, no. 4 (December 16, 2013): 55–77; Barrry C. Smith, “Big Data in the Humanities: The Need for Big Questions | Science in Culture,” accessed November 23, 2013, http://www.sciculture.ac.uk/big-data-in-the-humanities-the-need-for-big-questions/; Franco Moretti, Distant Reading (London etc. : Verso, 2013); Rens Bod, A New History of the Humanities: The Search for Principles and Patterns from Antiquity to the Present (Oxford: Oxford University Press, 2013). This is a selection of scholars urging for the inclusion of critical theory within the digital humanities: David Michael Berry, ed., Understanding Digital Humanities (Basingstoke etc. : Palgrave Macmillan, 2012); David Berry, “The Computational Turn: Thinking about the Digital Humanities,” Culture Machine 12 (2011), http://www.culturemachine.net/index.php/cm/article/view/440/470; Johanna Drucker, SpecLab : Digital Aesthetics and Projects in Speculative Computing (Chicago: University of Chicago Press, 2009); Alan Liu, “The State of the Digital Humanities A Report and a Critique,” Arts and Humanities in Higher Education 11, no. 1–2 (February 1, 2012): 8–41, doi:10.1177/1474022211427364; Matthew Kirschenbaum, “What Is ‘Digital Humanities,’ and Why Are They Saying Such Terrible Things about It?,” Differences 25, no. 1 (January 1, 2014): 46–63, doi:10.1215/10407391-2419997; Adam Kirsch, “Technology Is Taking Over English Departments,” The New Republic, May 2, 2014, http://www.newrepublic.com/article/117428/limits-digital-humanities-adam-kirsch.